Quick Aside: MxMo: Equal Parts is up at CVS. This is another one from my recent trip to visit my family, in which I found myself mixing drinks from my father’s bar. It was my sheer delight to find him in possession of a bottle of Stone’s Ginger, a fortified wine made from a blend of fermented raisins and ginger. It is sweet and has a spicy ginger flavor. Being a fortified wine, and given its flavor profile, it can be used in a similar manner to sweet vermouth, though a Manhattan with Stone’s Ginger is a very different beast, indeed. For this drink, I followed that good old 6:3:1 template about which we’ve all heard so much, and I garnished with a preserved ginger heart, which as far as I can tell is a piece of ginger that’s been cut down to a roughly spherical shape and then preserved in a canning process using whiskey and sugar. It makes the ginger very tender, and you can bite into it and chew it. Aside from the noteworthy garnish, there is not too much to say about the structure of this one; it’s extremely standard. I sweetened the whole operation some orange oleo saccharum (not the herbed one in that link) that I had lying around from an earlier drink, and poured it over ice. Orange, ginger, bourbon, ginger. If you follow the template, you will almost always have a good drink. Stir over ice and then strain over fresh ice. Garnish with a preserved ginger heart on a bamboo skewer. Not my most beautiful photo, I know, but a beautiful way to enjoy your bourbon. Serving this drink on the rocks made it a bit lighter than it would have been otherwise, and in the California heat, that is exactly what you want. Stone’s Ginger is an excellent product, though I have not seen it in WA. Definitely pick up a bottle if you have a chance. 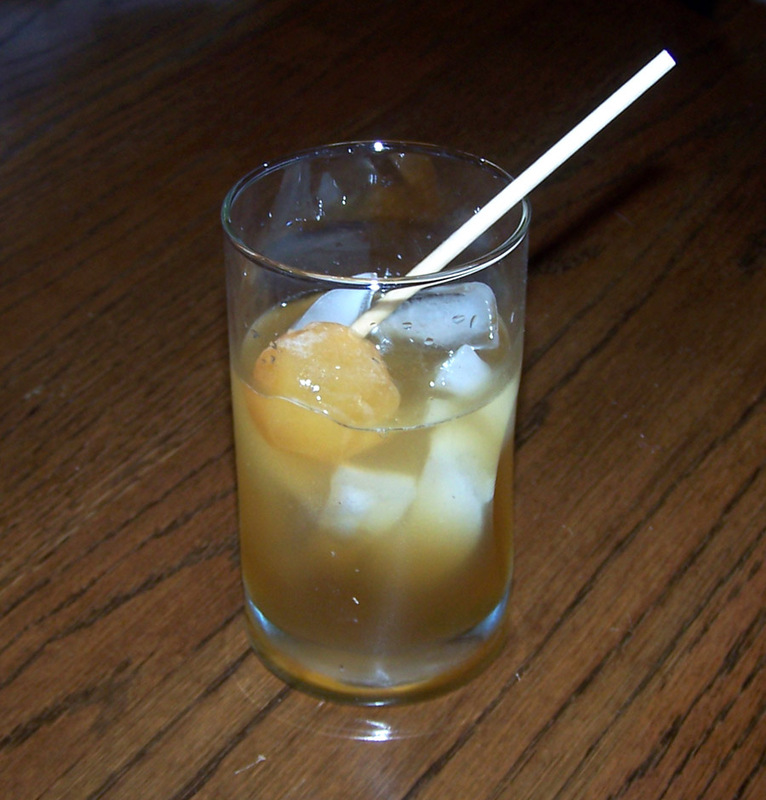 Categories: original creations | Tags: alcohol, bartending, bitters, booze, bourbon, cocktail, cocktails, drinking, drinks, ginger, ginger heart, ginger wine, mixed drinks, mixology, oleo saccharum, orange, stone's ginger | Permalink.